(Bend, Oregon) – Mt. Bachelor opened for skiers and snowboarders on Thanksgiving, and is currently reporting a 34-inch mid-mountain depth. On November 20, Mt. Bachelor was getting pretty pumped about the powder, said marketing director Andy Goggins. “We've got plenty to be thankful for this Holiday season with 12 inches of snow accumulating at the base of Mt. Bachelor in the past 24 hours and a mid mountain base depth of 38", Mt. Bachelor will be opening for the winter season as of this Thursday, November 22nd,,” Goggins said. Initial lift operations will include Pine Marten Express, Sunshine Accelerator, and Skyliner Express from 9am to 4pm, with early season lift ticket pricing; $59 for Adults, $49 for Teens (13-18) and Seniors (65-69), and $36 for Youth (6-12) and 70-plus. Terrain Park features will be available in the Pacific City park off Skyliner Express. New this time around: Lift tickets, season pass pick-up, and all mountain services will be available in one convenient location within the 'Mountain Gateway' building in the West Village parking lot. The Nordic Center opened for the winter season on Thursday, November 22nd. Tubing will also be available beginning Thursday through the Thanksgiving weekend. Goggins noted the forecast is calling for more snowfall as the storm continues through Wednesday. “Our operations crews are preparing for a powder-filled opening day,” Goggins said. Check MtBachelor.com for updates, snow totals and additional information to prepare for the winter season. Reservations & Information (800) 829-2442. 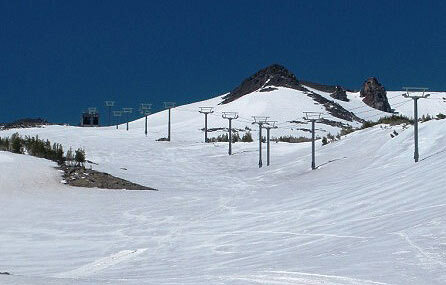 Phone Snow Report (541) 382-7888.